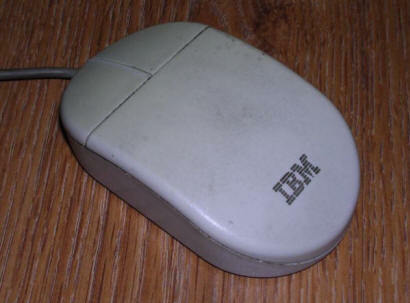 In 1990s mice got more and more popular. 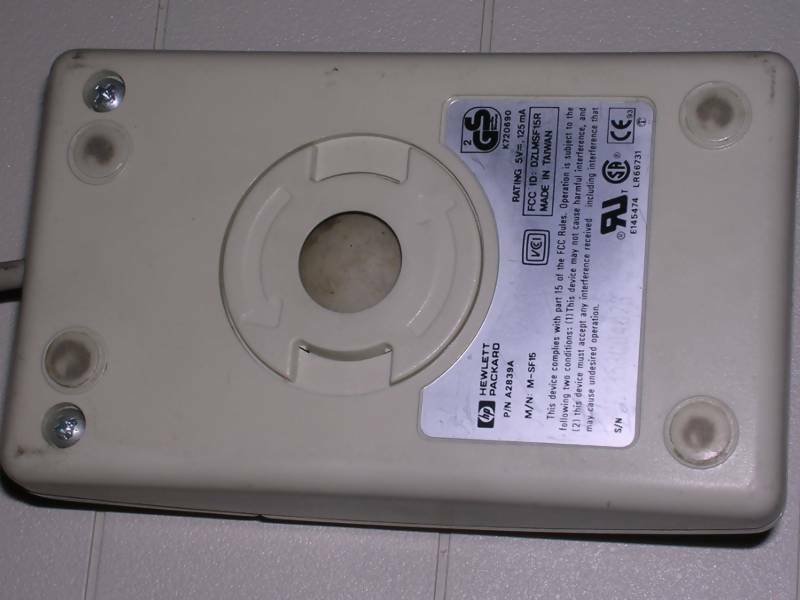 Late 90s, with ATX standard getting more and more popular, made serial port slowly disappear form PCs. 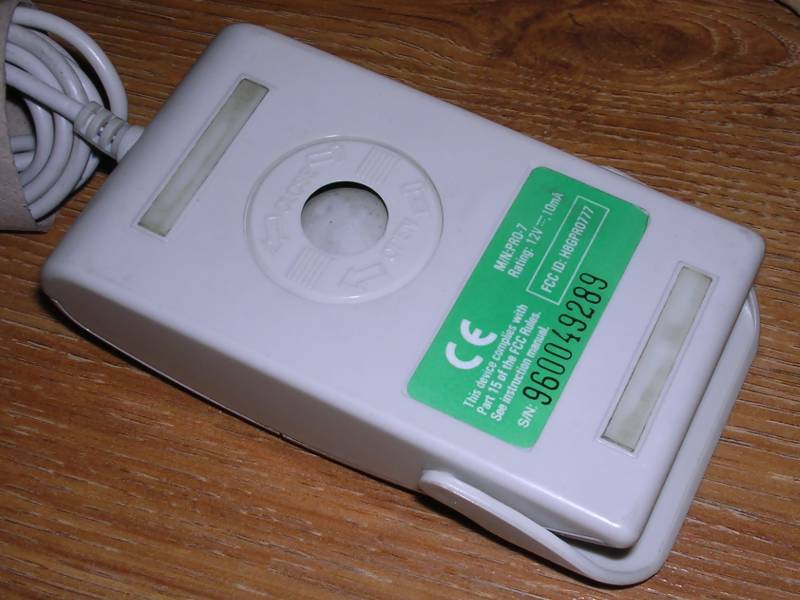 Thus, most mice from mid to late 90s are equipped with PS/2 port connector or a special converter which allowed spceific mouse to work both with serial port or PS/2. 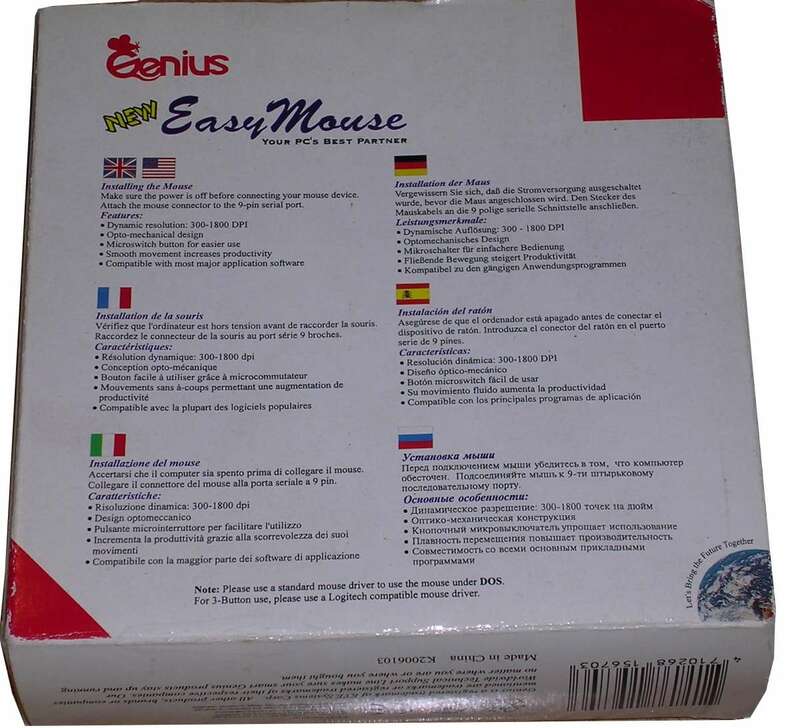 This converter works with specific models of mice, not every PS/2 mouse. A HP OEM mouse, supplied with new computers. In fact it's Logitech mouse re-branded. 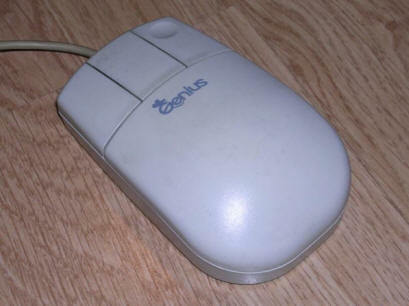 Quality is good, as in Logitechs, and it's quite reliable mouse - I've used it with my Pentium machine for years. 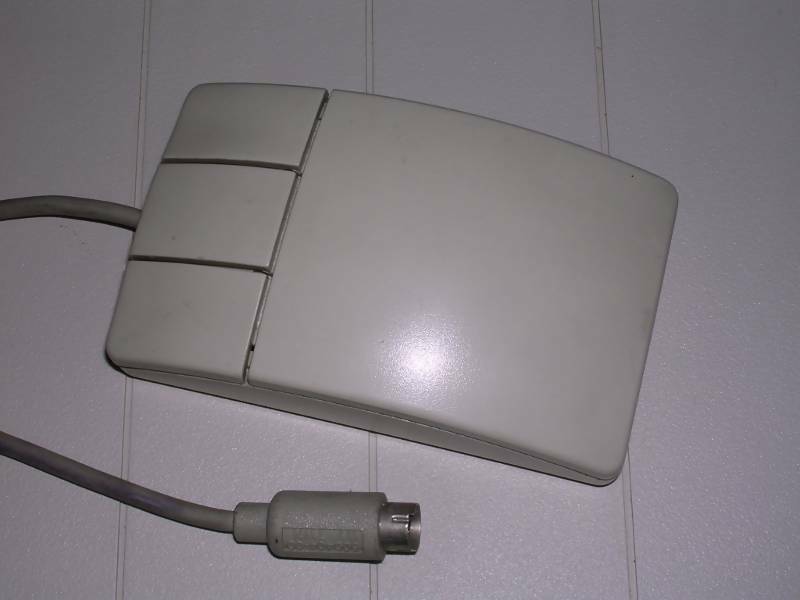 After producing first mouse design it became clear that users prefer to make their palm rest entirely on mouse instead of moving it by fingers only. 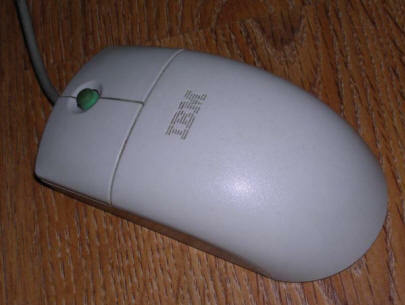 So IBM decided to re-design their rodents on occasion of releasing Aptiva series ca. 1994. 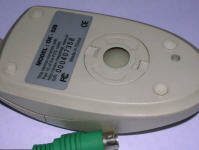 This is an upgraded mice with more round shape to make it more comfortable and with larger buttons. 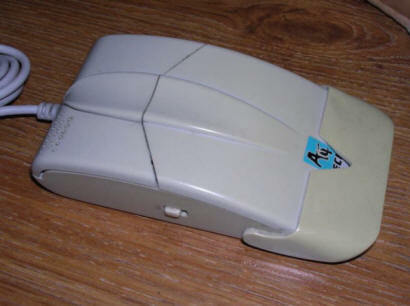 These mice were supplied with Aptiva machines, PS/2 and late PS/1 computers. 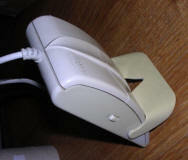 It can be plugged in with PS/2 cable. 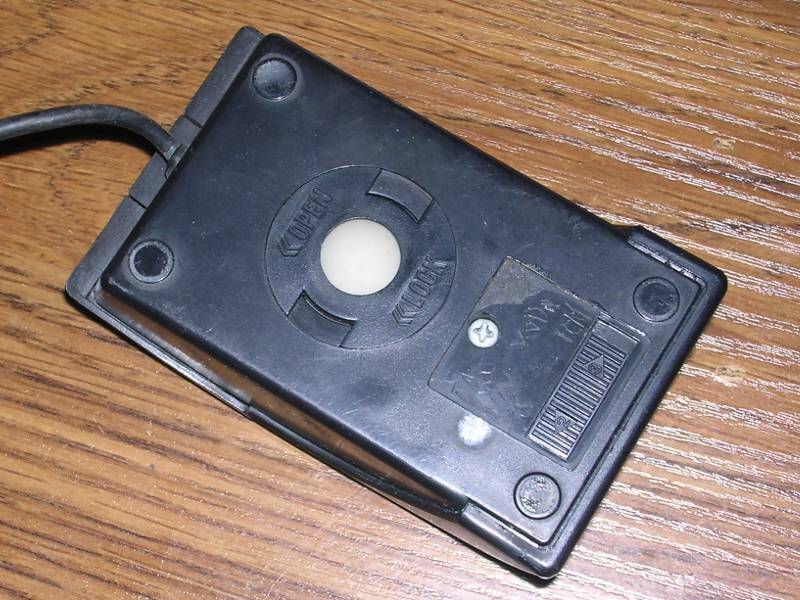 Some of these devices suffered accuracy problem as they used too light balls made of gray plastic. Later units came with heavier balls and their accuracy improved much. 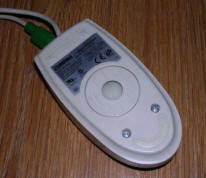 From programming perspective, it just works as a typical PS/2 mouse. There is only one exception and not in all cases - sometimes if you press two buttons simultaneously and power PC on, some mainboards will not start. This is a leftover for IBM's CMOS settings reset routine originally entered by pressing both buttons at start-up. In 1995 Microsoft released Windows 95, their revolutionary operating system. Then they expanded line of Microsoft Home software (mostly known from Plus! products) to small hardware products. Microsoft Home Mouse was a mouse of this series. 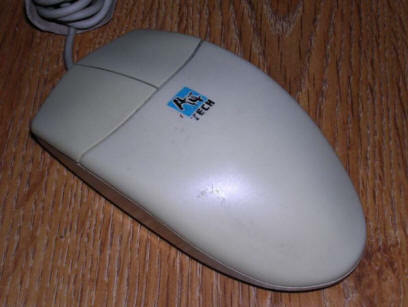 Because in Windows 95 middle button was not used as extensively as in dome DOS apps or Unix applications, mice designed especially for Windows 95 were usually designed with 2 buttons. This mouse has left button with unusual cursor-like shape and its color is like Win95's desktop. The quality of this rodent is quite good, and very good comparing to Taiwanese ones. 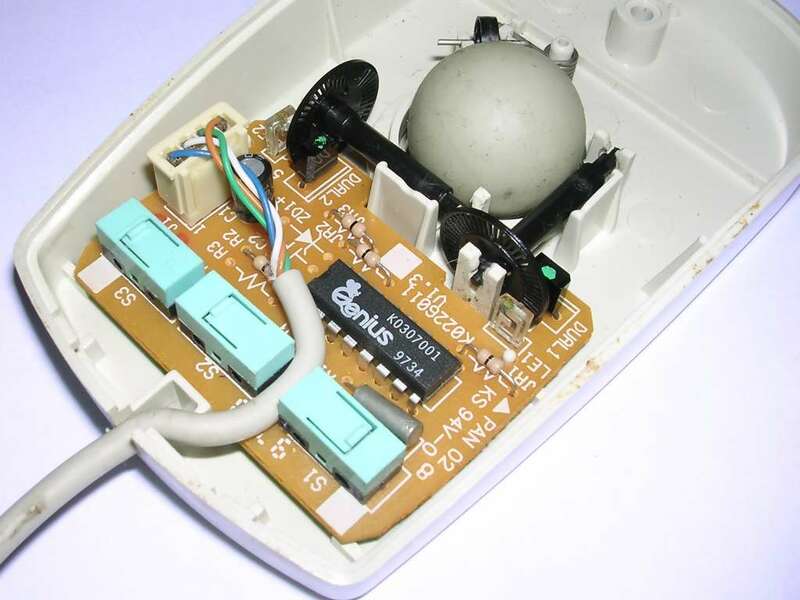 The design is quite interesting, especially comparing to then-popular white mice. This dark-blue-green color had survived for a few years in different mice models, not only in Microsoft. 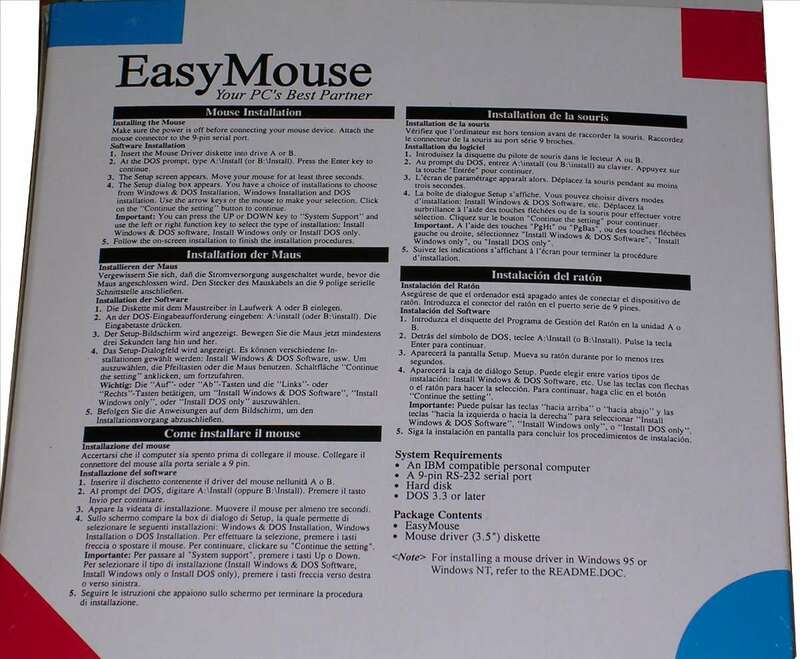 In 1995 many peripheral manufacturers marketed their ordinary peripherals as "Windows 95 compatible". 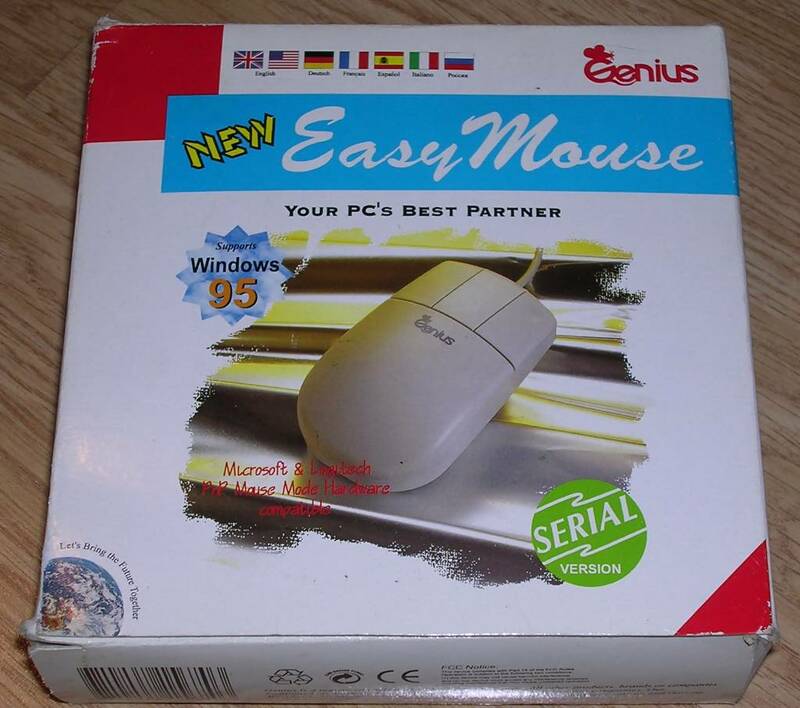 This mouse is one example of such marketing. 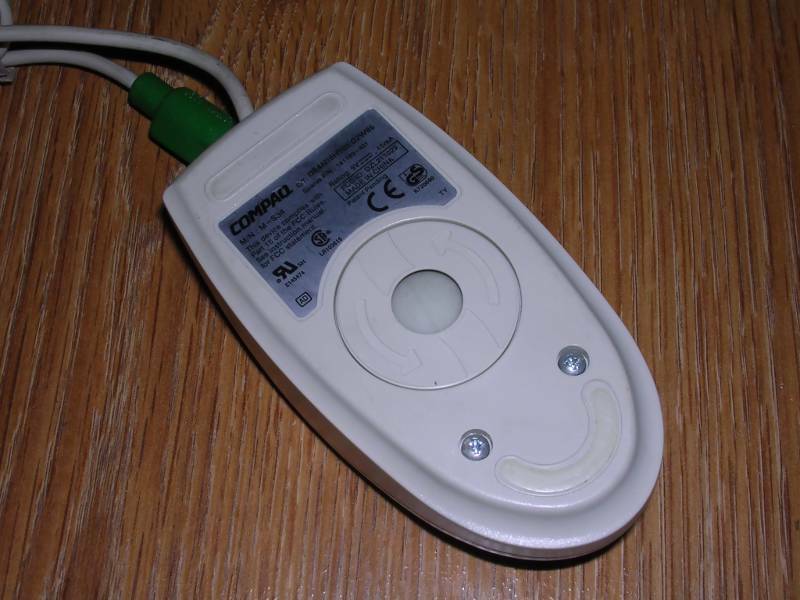 It is a typical PC 3-button mouse connected to serial port, made by CCW, but similar mice were also sold with Genius brand. 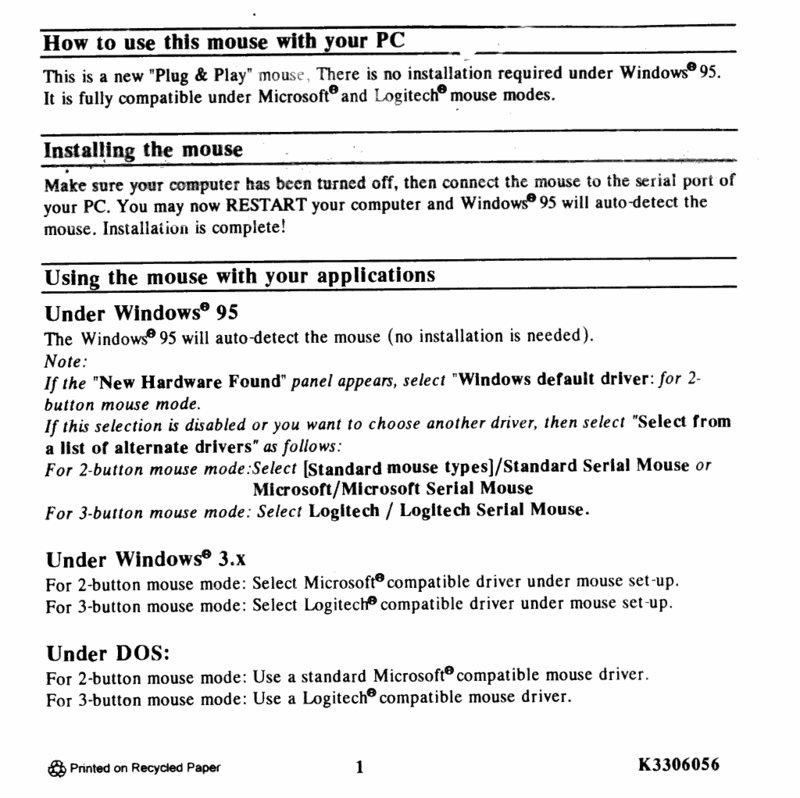 It works as well in DOS as in Windows 9x. This particular unit is new, I got a few of them after computer service went bankrupt. 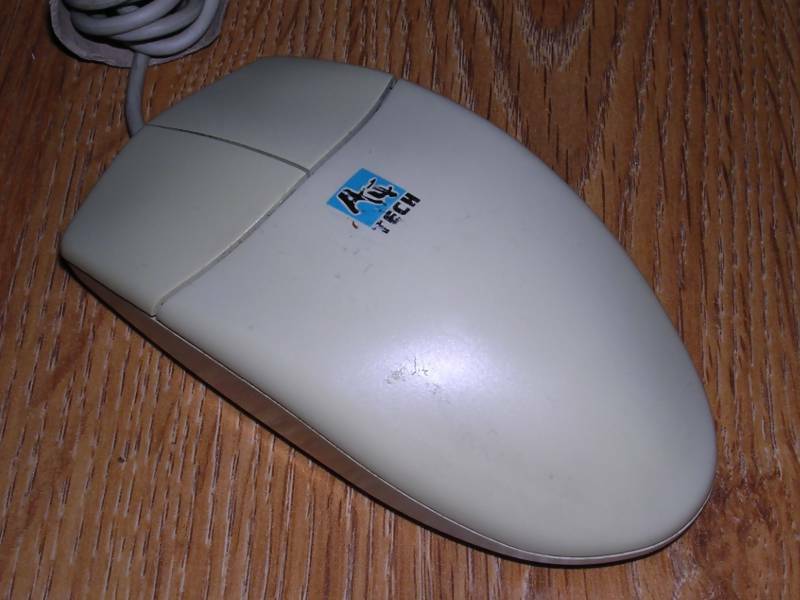 These mice were quite cheap and frequently were bought with new PCs. A4Tech made some interesting computer peripherals, and this is one of the designs which were never adopted by users. 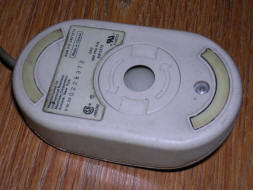 This mouse had part of a rear casing on a small hinge. 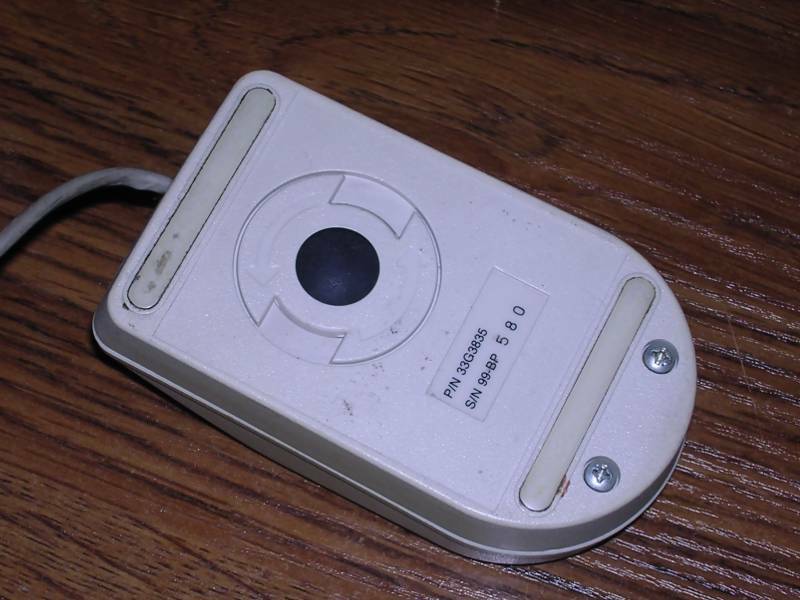 By putting it down, mouse could be held with a palm. When it was put up, it forced finger grip, in which mouse is moved mostly with fingers. After using it was possible to just make this mouse stand vertically and not occupy so much space. These mice were not popular too much, as its design was quite eccentric as for PC mice. It was marketed since before Win95. 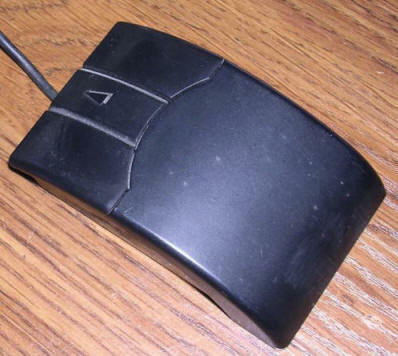 This mouse has a small switch to choose between Microsoft/Logitech standard and Mouse Systems standard, so internally it is older design than Win95-compatible mice. 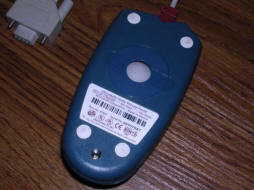 This is a small mouse offered with some IBM late Aptiva and PS/2 computers, as well as re-started PC line. However, more frequently larger mice were sold. 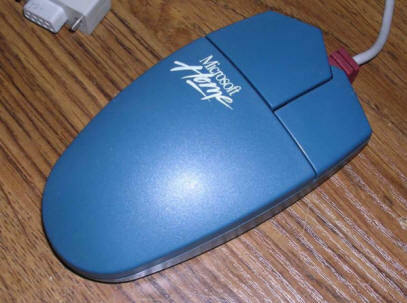 These small mice were chosen by customers who purchased ThinkPads - to have a portable mouse for a portable computer. 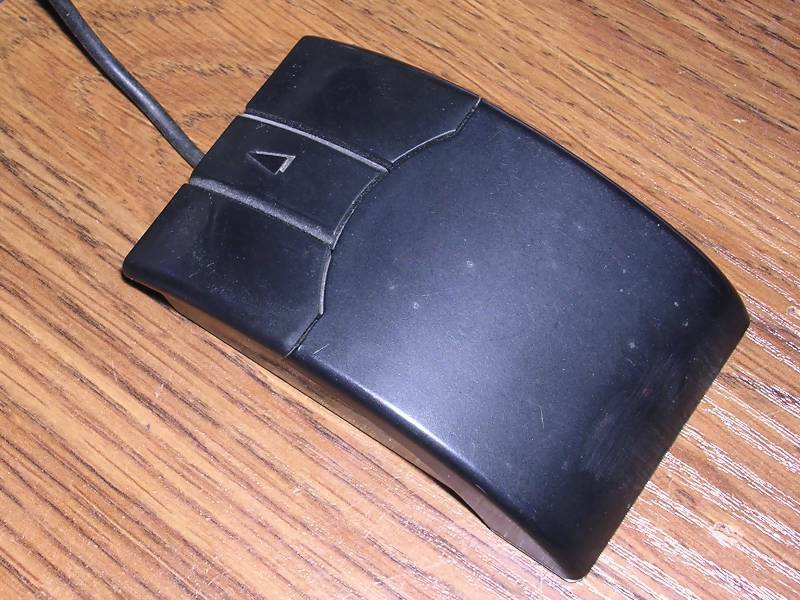 You can see similar mouse, but black in ThinkPad 850. 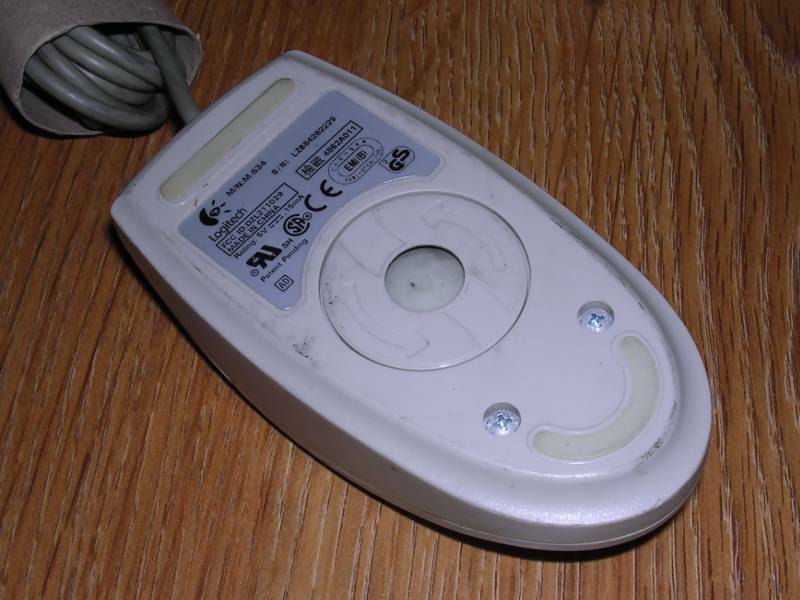 This mouse was designed with portativity in mind, as it is lighter than typical mice and its buttons are scaled down especially to prioritize left button. 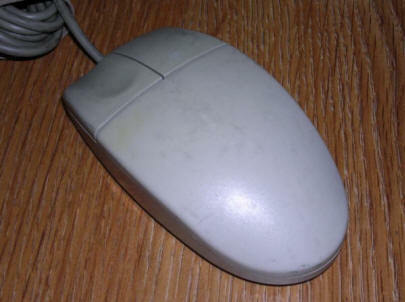 These mice were available for a quite long time, serving many computer series. 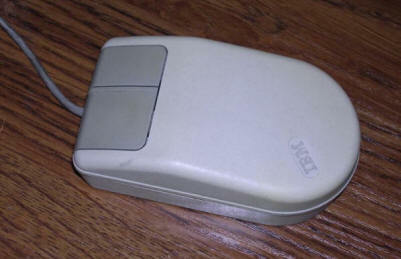 This mouse was also replaced in some extensively-serviced PS/1 sets, but usually later ones or PS/1 Pro. The most simple Logitech's model in mid-1990s was offered in Serial port and PS/2 variants. This one is PS/2. It is a typical 2-button mouse with quite good quality. 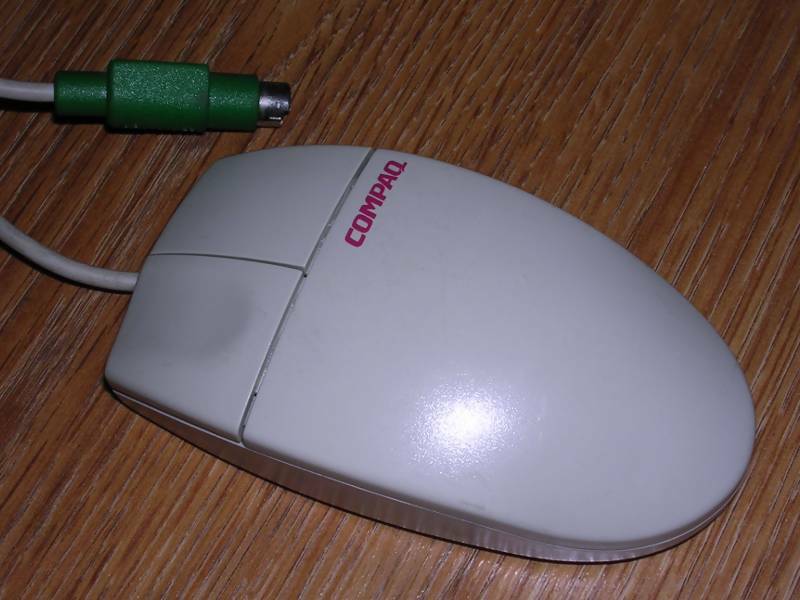 Interesting thing is that some computer manufacturers ordered these mice with their own brands - below you can see Compaq mouse which is exactly the same Logitech (even certification IDs are the same), but with Compaq logo printed on it. Well, this is a puzzle for me. This mouse was supplied with a PC for telecommunications patch control. All markings related to manufacturer are removed, even chip is scratched off inside. From shape, it may be Logitech, but it has a switch between PC Mouse and MS, like A4Techs. Information: This mouse was very popular in 1998 and 1999 and it was the cheapest mouse around for a long time. 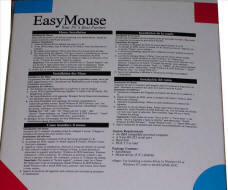 It has 3 buttons and it's a mutation of "EasyMouse". 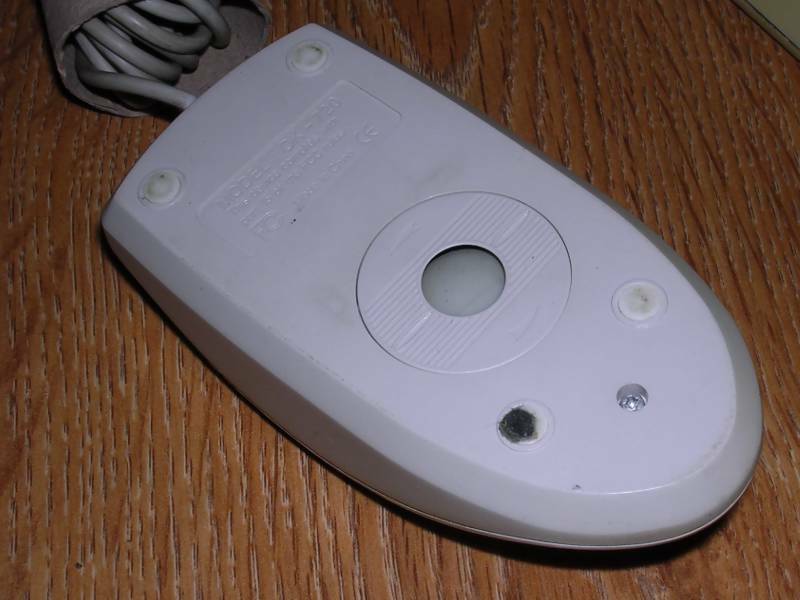 Unfortunately it has one flaw: After long usage its button contacts wear off, especially left mouse button becomes harder and harder to press. Re-soldering them works for a short time, so it's better to replace contacts - if you don't have spare one replace with middle-button's contact :). 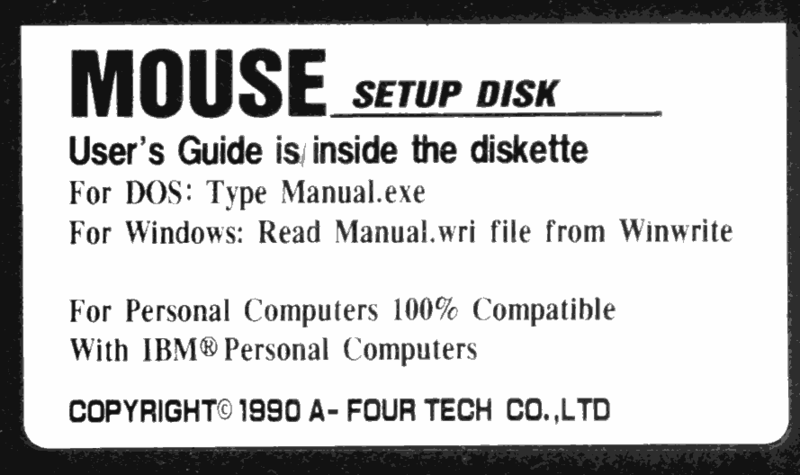 It was supplied with a small manual and usually no disk - as Windows 95 supports it. IBM released this mouse in 1998, but one of the first computers supplied with it were last Power Series machines (but drivers were never released). First, it was widely distributed with newer Personal Computer series. Presence of TrackPoint-like scroll stick allows to smoothly scroll around in 360-degree angle. Buttons are filling a whole mouse width, so it is much easier to click. 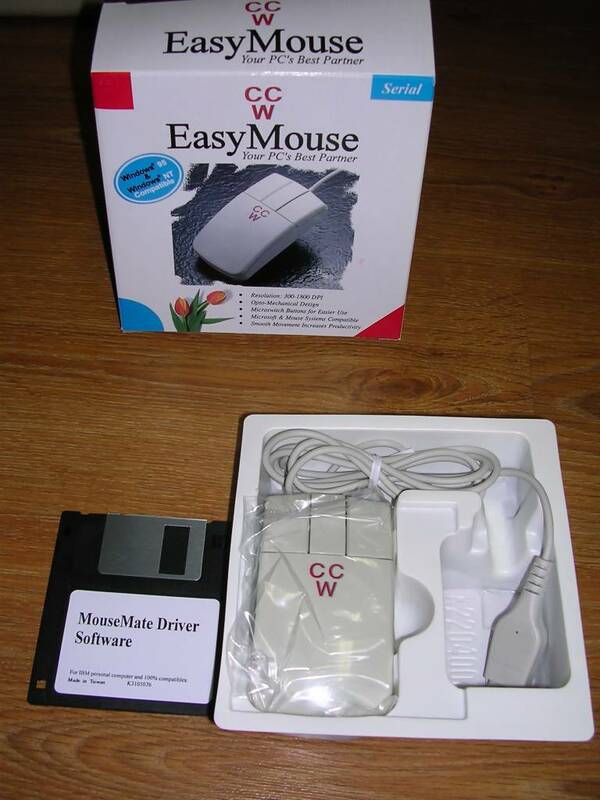 Unfortunately this mouse had a few caveats. 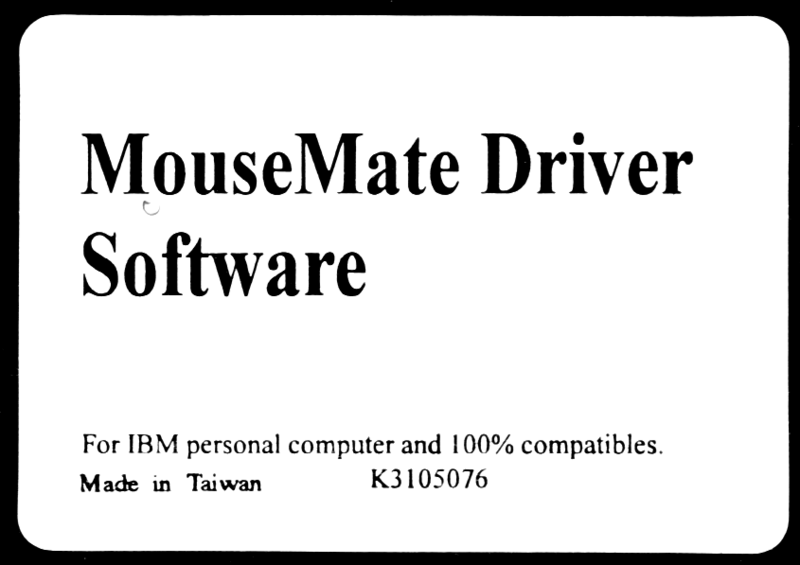 Without IBM's drivers, in Windows 9x it was behaving erratically simulating a very fast wheel. More, its popularity was never too big. 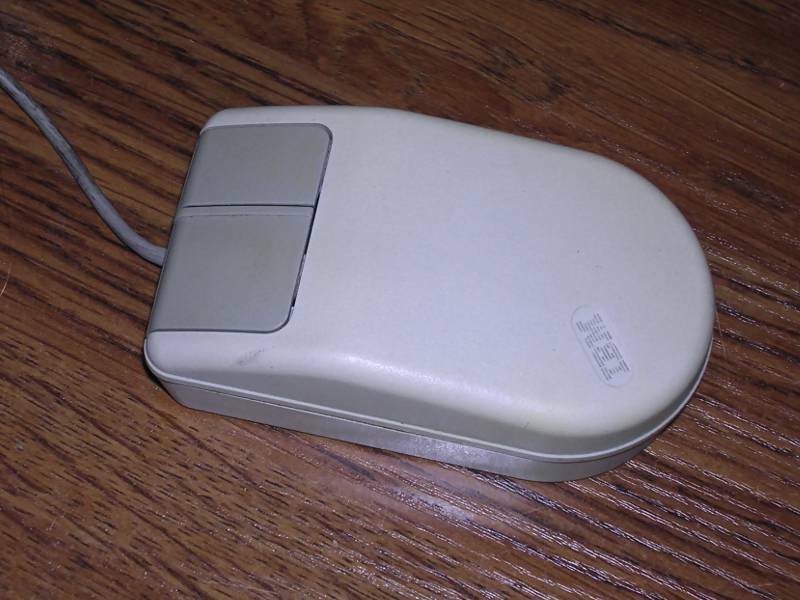 IBM never officially marketed this mouse, although a few models were made they were usually offered with PC sets. 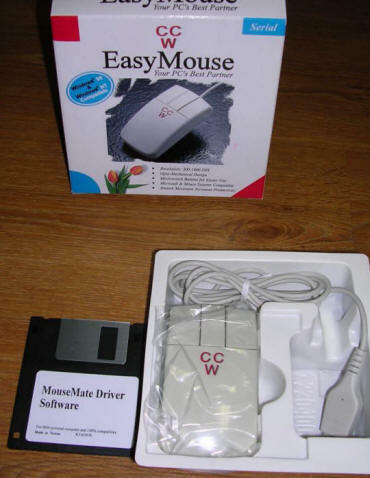 This mouse was popular in late-90s and early-2000s low-end and home systems as it was cheap and there was opinion that it won't fall apart after few months (like EasyMice shown above). 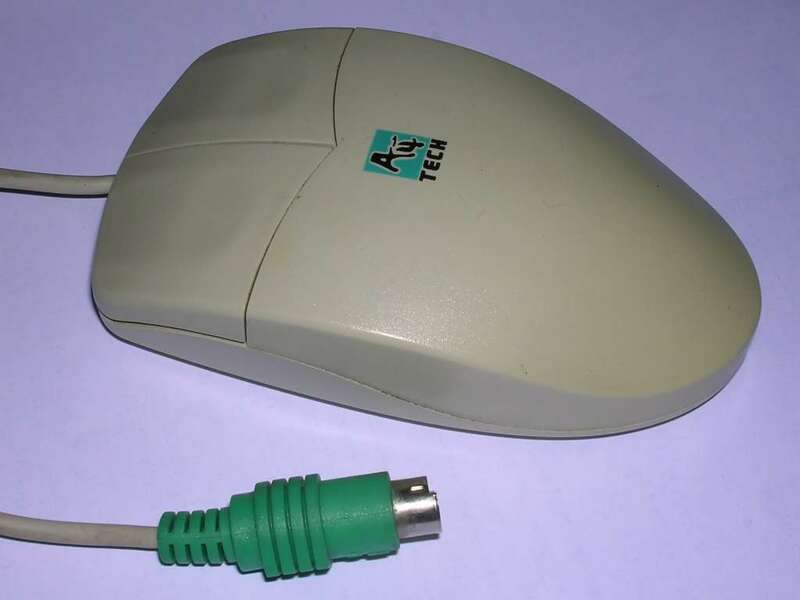 Usually they were replaced with wheel mice, and first A4Tech's wheel mice had much worse quality than mice like this one. There are some mice looking exactly like this one, but with PS/2 connector too. These can usually be plugged to serial port using special PS/2 adapter. 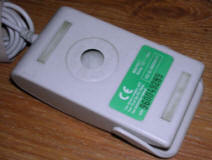 This converter works only for mice which are both PS/2 and serial-compatible and mostly only A4Tech manufactured them. 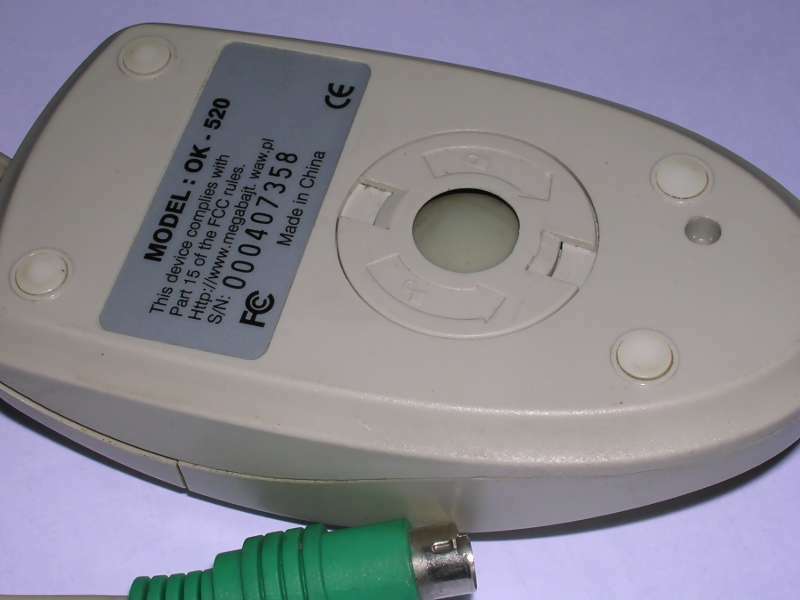 A PS/2-only equivalent of OK-720, a typical mouse for home/office machines in 1999 and onwards, until wheel mice became a must-have. Simple, cheap, and sufficient in most cases these times. Inside, these mice were made as cheap as possible, but not with total quality neglect. One chip, fair quality contacts and exposed optical detectors. Cable is attached with connector. Construction of ball keeping emchanism is simplified. 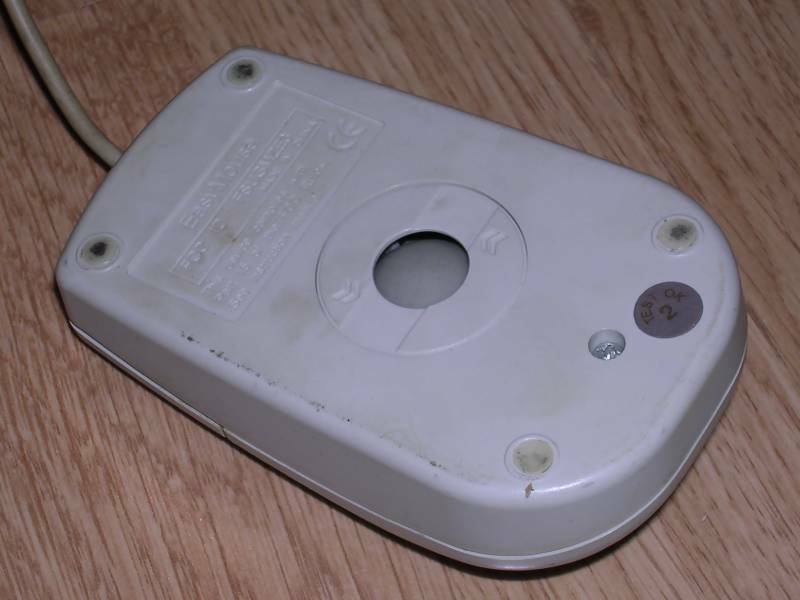 If you loose the wheel, you have to disassemble the mouse and put it back on a spring as it is easy to remove it while cleaning. 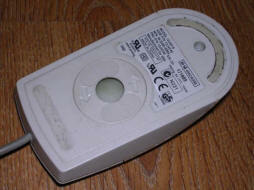 Generally many of these mice have been sent to recycling without this wheel. 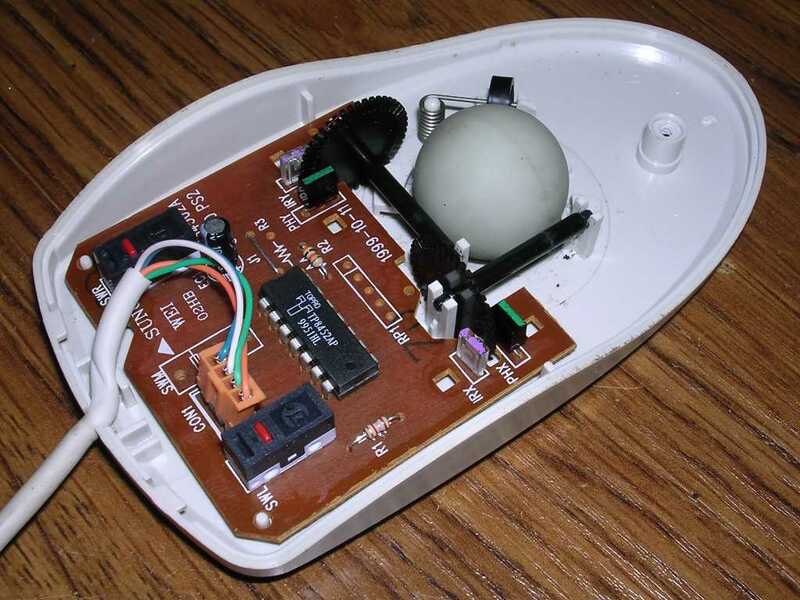 The typical problem with these mice, except loosing ball-stabilising wheel, was cable, usually pulled too violently it could fall off or break a wire inside.